In iOS 11 Apple is replacing the JPEG image format with the new HEIC alternative. So what is HEIC, what is HEIF, and how will they benefit iPhone users? With the release of iOS 11, Apple announced that it was replacing JPEG files with a new image format called HEIC. Why leave behind the industry standard of JPEGs, and what does HEIC have to offer? We investigate. HEIC is the file format name Apple has chosen for the new HEIF standard. HEIF stands for High Efficiency Image Format, and, as the name suggests, is a more streamlined way to store image files. 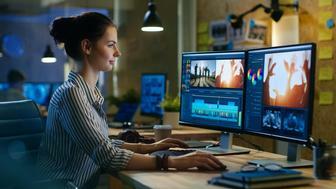 Using advanced, modern compression methods it allows digital photographs to be created in smaller files sizes, all while retaining higher image quality than its JPEG alternative. HEIF is based on the HEVC (High Efficiency Video Compression) or H.265 video format already used on newer iPhones. HEIC isn't actually an Apple invention at all, but was developed by the MPEG group that was also responsible for the AAC format used in iTunes. Technically, HEIC isn't really a format as such, more of a container for images and audio. The way Apple has outlines its use is to store still images encoded with the HVEC (H.265) video format. This works particularly well with Live Photos, as multiple images can be saved in the HEIC container. The same is true for dual camera images captured on the iPhone X, iPhone 8 Plus and iPhone 7 Plus. What advantages does HEIC have over JPEG? While JPEGs have been the faithful standard of online images for a quarter of a century, times have moved on. Replacing the ageing format with HEIC will mean that capturing photographs on iPhone or iPads will now take up a lot less of the inbuilt storage. This is good news, as the increasing quality of images and videos (with 4K video now becoming standard) means that users are constantly having to watch how much space is left on their devices. Apple's adoption of the new HEIF format should go a long way to alleviating this issue. This reduction is down to the compression techniques employed by HEIF. In fact, the MPEG group claims that twice as much information can be stored in a HEIF style image as a JPEG one of the same size. Apple confirms this by stating on its iPhone 8 page that "next-generation HEIF compression technology lets you take new photos with the same quality as before but at half the file size. So, snap away." Alternatively, you could opt for higher-res files at the same size as their current JPEGs. The fact that HEIC also supports 16-bit deep colour images will come as a blessed relief for iPhoneographers who have seen those mystical sunset images compromised by ugly banding caused by the 8 bits currently on offer. Will you still be able to share images with non-iPhone users? Apple recently revealed that iPhone users take more than a trillion photographs each year, which is a pretty staggering number. But even with these huge figures, the truth is that the web and Android users still make up the bulk of people, so Apple won't be able to switch the world to HEIC just yet. Instead iOS 11 will convert images to JPEG when you want to share them with non-iPhone-wielding friends, or for use on various social media sites. Will I be able to open HEIC files on my Mac? Sadly, this isn't quite as straightforward as we'd like. If you're running the latest version of OS X, High Sierra, then the answer is yes. Any version of OS X before that will not be able to open HEIC files by itself. Of course, we think upgrading to High Sierra is the best course of action, so long as your Mac is supported. You can check out what we think of the latest iteration of macOS, and what devices are compatible, in our macOS High Sierra guide. Alternatively, you can set your iPhone to shoot JPGs rather than HEIC. To do this go to Settings > Camera > Formats and then select Most Compatible. Or you can share Jpegs instead of HEICs, also via Settings (go to Settings > Photos and select Automatic in the bottom option), while continuing to keep the benefits of shooting and storing in HEIC yourself. But this seems a backwards way to go about things. Instead, we recommend trying the iMazing app for Mac, which also gives you a number of other helpful ways to manage your iPhone. There's a free trial available on the website, but after that you will need to pay around £35 for the full app. Another option is the free HEIC online converter by Apowersoft, which can quickly turn HEIC files into JPEGs your Mac will open. Will I be able to open HEIC files on my Windows PC? At the moment, there are issues with opening HEIC files on Windows. You can import them on to your hard drive, but when you click on them you soon become stuck. The Windows Photo app doesn't recognise them, and at the moment there are no HEIC-compatible photo editors that we know of that can handle the format. This is certain to change quickly, and we expect plug-ins or updates for the likes of Photoshop to appear in the near future, but right now it's difficult. There are a few apps that will convert HEIC files to JPG, the most popular of which is iMazing HEIC Converter. This free app has a simple drag-and-drop system, which allows users to reformat HEIC files as either JPG or PNG instead. If you prefer not to install an app for this job, then you could also try the HEIC to JPG online converter, which does all the encoding in the cloud. Hopefully it won't be long though before we see HEIC adopted across the board, and built-in to all native apps on Windows, Macs, or Android devices. In an age where storage space is at a premium, it can't come fast enough.